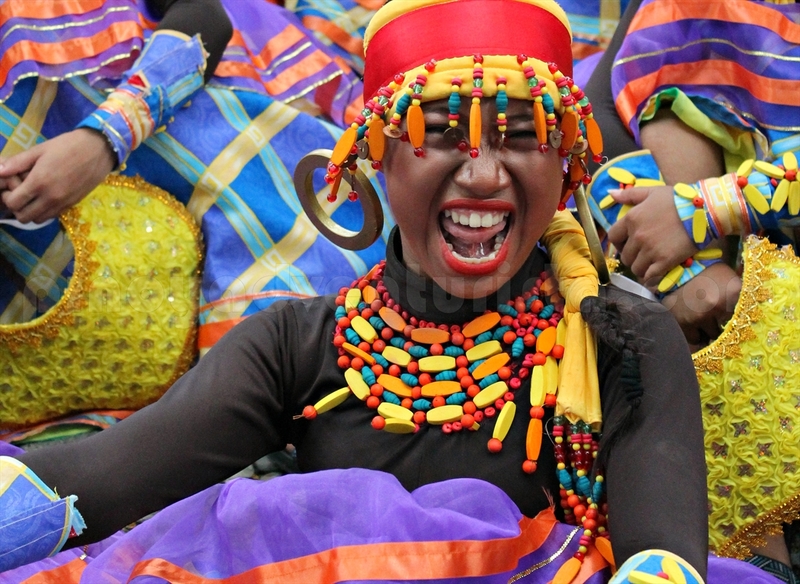 The Dinagyang Festival is an annual celebration held in Iloilo City every fourth weekend of January; although relevant activities already start even during the first week of the month. This cultural and religious festival is held in honor of the Sto. Niño but is also a celebration of the arrival of the Malay settlers in Panay. The festival began as a small celebration when a replica of the image of the Santo Niño de Cebu was brought to Iloilo as a gift to the Parish of San Jose by Fr. Sulpicio Enderez after the parish was introduced to the devotion of the Child Jesus by Rev. Fr. Ambrosio Galindez in 1967. Overjoyed by the gift, the parishioners welcomed the Sto. Niño’s arrival with parade and festivities. What began as a small celebration in the parish soon grew into a city-wide event that attracts scores of tourists to the city every year. The Dinagyang Festival is patterned after the Ati-Atihan Festival of Aklan, complete with people dancing to the drum beats while covered with ashes and soot to simulate native Atis. Still, some modifications were also made, including the introduction the carousel performance wherein different judging areas are created so that participants from competing tribes can show a simultaneous performance. It is also in Dinagyang that the first festival mascot, Dagoy, was introduced in the Philippines. Also, the festival has given rise to the unique Dinagyang pipes which are made ingeniously from PVC pipes plus the mobile risers which add depth to the dance and now a prominent feature of Dinagyang choreography. For 2014, 13 tribes are expected to participate in the Kasadyahan Competition and another 12 will join the Ati-Ati Contest. *photograph by Pinoy Adventurista of TripGrocery.com - "your source of Travel Guides, Deals and Promos"
are you going to Cebu for Sinulog?